The neighborhood represented by the Bellamy Woods Civic League was developed in phases. 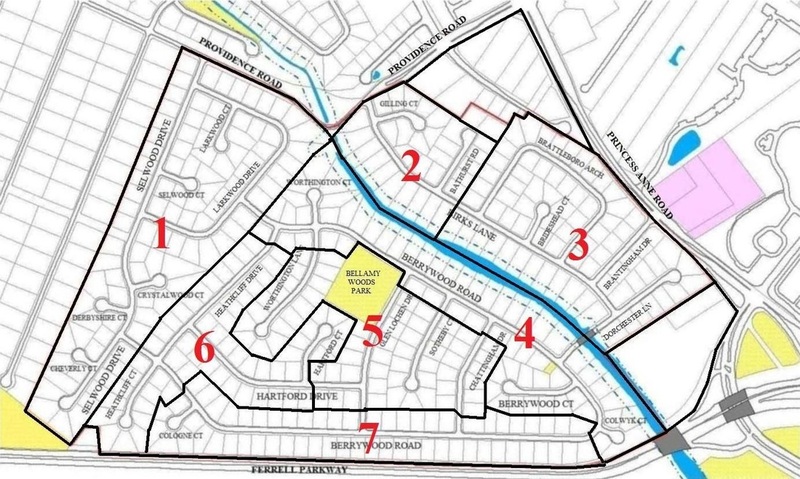 The majority of houses were built in seven subdivisions, as shown on the map below. Deeds for properties within these subdivisions contain certain binding covenants "for the purpose of enhancing and protecting the value, desirability and attractiveness of the lots." The BWCL has no covenant enforcement authority, but as a service to homeowners BWCL has been a source for these documents since the early 1990's. Covenants differ among the subdivisions. To determine which covenants apply to a particular property first locate the parcel on the subdivision map below, then click on the appropriate hyperlink to the left.